Weighty Matters: The 2012 Cadbury Chocolate Olympics have Arrived! 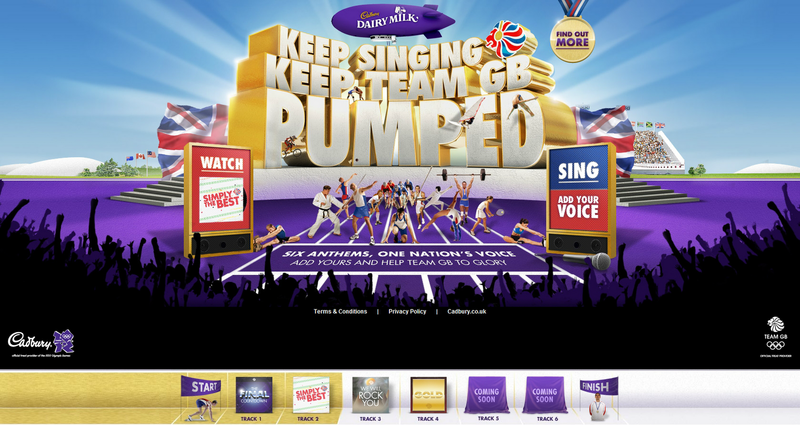 As you might be aware, Cadbury is the main sponsor of the 2012 London Olympics. 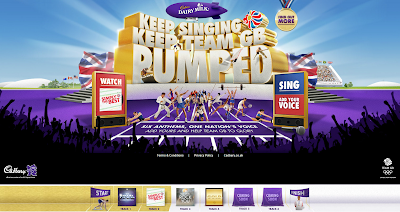 Their marketers have unleashed the first wave of feel good marketing inviting all of England to record themselves singing tunes to inspire the athletes. To start with there's already a YouTube channel, a Facebook page, and a Twitter account, but unfortunately I can't access them all being that I'm from Canada. Now the Olympics might not seem like a health organization to any of you, and it's not, but it is publicly funded. Governments spend an absolute fortune hosting the Olympics and consequently it can certainly be thought of as a public (as in Government) private partnership. Cadbury's going to take a wonderful ride on the emotional branding associated with the joy, majesty and excitement that makes up an Olympic Games, and I'm willing to wager here and now, Cadbury's 2012 sales, especially in England but likely the world over, will be the very best they've ever had. I'm also willing to wager that we'll be seeing special Cadbury chocolate medals around the necks of children. So my question to you is this. Do you think it's a good idea for host countries to sell Olympic sponsorship rights to corporations like Coca-Cola, Cadbury and McDonald's, and in so doing help to fuel likely dramatic increases in the consumption of junk food and sugar in the name of televised sport?